It’s not mandatory for a user-defined class to define a constructor. If one is not defined, the compiler will automatically generate a constructor. This internal constructor will just call the constructor of the class’ base class. (E.g. 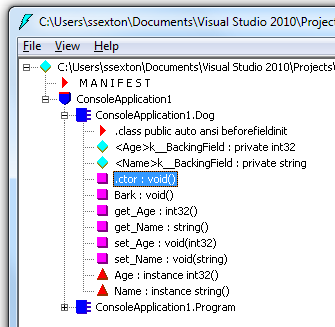 The constructor in System.Object). You can use the IL DASM tool to inspect the code for your class and see this automatically generated constructor.